By adding All Sorted as a user to your Google Adwords/Ads account we can create, modify, monitor and analyse your Ads. Go to the Security Settings screen in your Google Ads account. Click on the Allowed domains drop down. 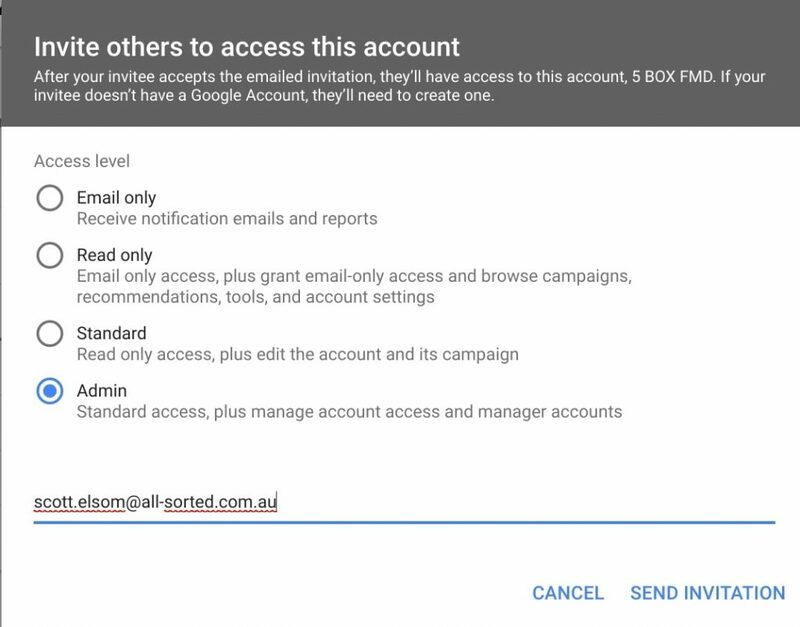 Add all-sorted.com.au to the list of domains allowed to access your account. This entry was posted in Google, Google Adwords, Website Management. Bookmark the permalink. ← How do I add a user to Shopify?